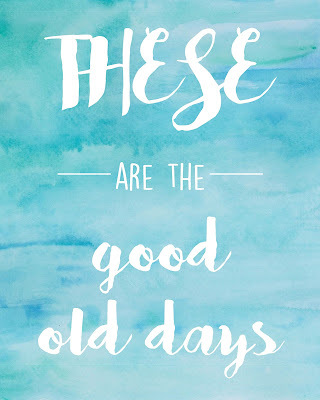 Mom, the Intern: Free printable: These are the good old days. 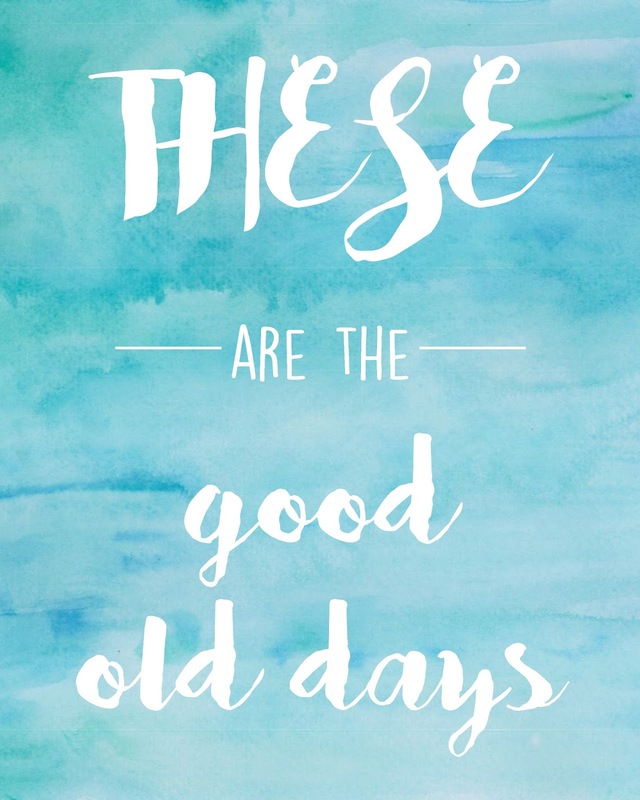 Free printable: These are the good old days. I like to know what's coming, I'm a control freak fond of predictability and I often pine for the future. As a result, I frequently forget to live in the present. I'm working on soaking up as much "here and now" as I can, but rest assured -- the struggle is REAL. Often, I think about how my oldest child can't babysit for at least three more years, and how I still have to potty train my youngest, and how retirement is, like, eons away and I get all antsy, thinking, HURRY UP ALREADY. As if life needs to get to some far-off point before I can achieve happiness or something. Of course, that's not true -- there's plenty to be grateful for this very minute. There's so much bounty to enjoy, so many memories to savor, so much beauty to soak up right now. The future will be chock-full of goodness too, just as yesterday holds its treasures. But tomorrow will always be a day away. I write this blog post as a reminder for myself more than anything. You probably have this whole patience and gratitude thing figured out. But just in case you're currently stuck in a rut, here's a tangible reminder for you. During a spark of inspiration yesterday morning, I remembered the series finale of The Office, when Andy said, "I wish there was a way to know you’re in the good old days before you’ve actually left them." And it dawned on me: THESE are the good old days. Thus, a printable was born. If you are like me, impatient, hurried, wondering when you'll ever arrive, print this baby out, put it in a frame and place it somewhere you'll see it. Often. And remember -- you're already in the "good ol' days." Go here for blue; here for pink. Once you're there, click on the down arrow at the top of the screen to download the file. Size is 8x10.